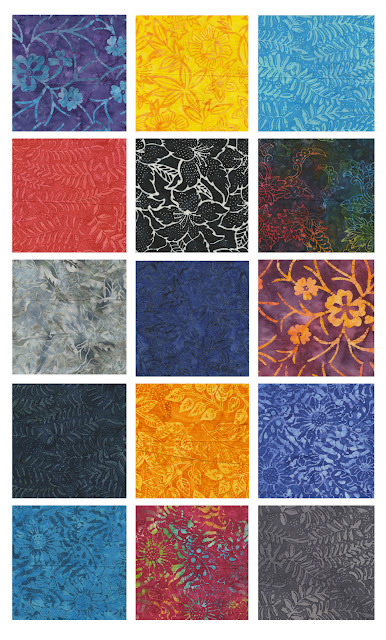 Consider this post a sneak peek--both at the gorgeous designs in our Rio collection (available in quilt shops this fall), but also at the rich colors you'll see during the Olympics this summer in Rio de Janeiro. These triple-dyed Rio Balis have a tropical feel, both in their palette and their patterns, inspired by the famous Carnival celebration in Brazil. Click here to see the entire Rio Balis collection. Watch for these batiks in our block blog hop next week!